So, you are looking to get finance on a new, nearly new or used car. Of course, we are slightly biased at Hippo Motor Finance – we think that you don’t need to look any further than our market leading instance finance checker which makes it easy to find out how much you can afford before you pick one of our cars. Nevertheless, regardless of where you get your car from, it’s important to choose a reputable car dealer. That’s why we’ve put together a list of ‘gotchas’: important things to look out for when finding a funding solution to get behind the wheel of a car – be it car finance or lease agreement. It’s more than possible that a new finance broker can deliver a good lease deal, but the car finance industry is one where you often need to build up experience over time. Having a large and proven lending panel is key satisfying most customers with a deal that is suited to their needs, and this is something that is built up over time. Don’t get stuck with a car finance company that has restricted lending options – either a small panel or one which does not suit your needs – applying through the wrong lender can hurt your credit score. For example, we often see poor credit experts enter the market but they do not sufficiently cater for near prime and prime customers meaning that these customers are likely to pay a higher APR, leaving these customers out of pocket. Of course, the reverse is also true….if their lenders are mostly near prime and prime then customers with less sparkling credit histories may not get approved, tarnishing their credit history, or get approved for a loan with fantastic APR that they might struggle to pay. Something that many customers don’t consider is whether they are financing a new or used car. New car leasing can be pretty straightforward, though the leasing company needs to have access to a good supply of new vehicles and this can often be seen in the range of models that they offer. Be wary if your car dealer or leasing broker seems to be pushing one model too much as this can often indicate that they have got a job lot from somewhere or need to move less popular stock. When it comes to used or nearly new vehicles – it’s a whole different kettle of fish. To successfully offer used vehicles a dealer needs a whole raft of capabilities behind the scene: an up-to-date workshop that can handle and prepare everything from small hatchbacks with diamond cut alloys through to the latest hybrid technology vehicles. This takes real expertise. You also need a body shop that can prepare the vehicles to an excellent standard, think spray-booths and at least minor dent fixing capabilities. 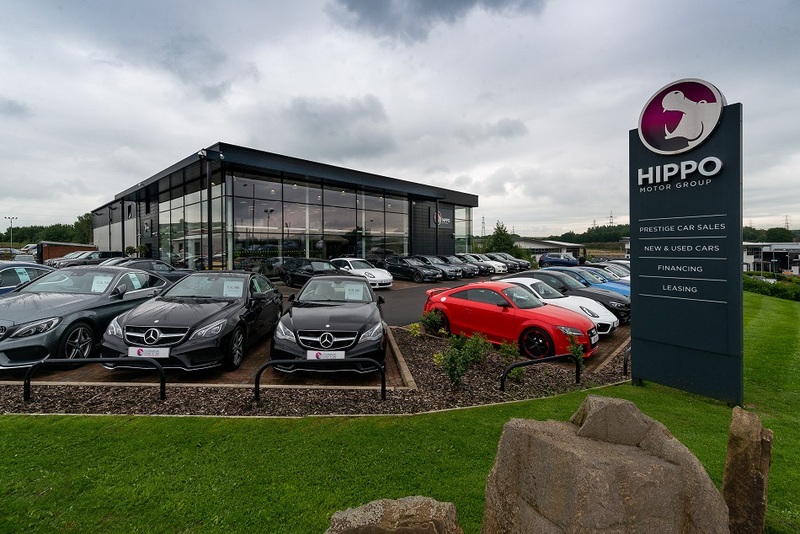 Established franchise dealerships will offer this as well as finance and leasing brokers such as Hippo Motor Finance who has been established for 11 years now. While we often admire one man bands and small lease companies for their entrepreneurial spirit, don’t get caught with a company that simply does not have the capacity or the skills to prepare your vehicle properly. Many dealers and brokers are guilty of this. Pay special attention to how your deposit affects the headline price (this is the monthly price the leasing broker or finance company advertises the vehicle for). There are many ‘gotcha’ moments where you come in for an attractive monthly price, only to find your you have to pay an exorbitant initial rental. Small deposits are quite standard, but deposits in the hundreds of pounds and thousands of pounds range can be harmful down the line. We hear of customers who have lost their deposits through no fault of their own and ‘phantom’ cars and dealerships are becoming an increasing reality, particularly in the used car sector. When it comes to car finance agreements, as previously stated you need a big panel of proven lenders but you also want lenders that offer soft search capabilities so that there is no chance of your credit rating being negatively impacted. Soft search is not something all brokers can offer as it is costly to implement behind the scenes, but a broker with your best interest at heart should be able to offer this service so that you don’t need to commit to a hard credit check that will impact your credit rating if you are rejected. Does your car come with a warranty? New cars will obviously have the manufacturer’s warranty but this is not the norm when it comes to used vehicles. Is the dealer or supplier confident enough in their vehicles to offer a complimentary warranty on the car? If not, avoid as not having a warranty will cost you down the line. Excess mileage charges can be another source of unfair, unwanted surprises that customers need to deal with. When you opt for a Personal Contract Purchase (PCP) or a Personal Contract Hire (PCH) agreement be sure to check the clause relating to charges for excess miles. While it would be nice to think that we can predict how many miles we will do – none of us has a crystal ball and changes in your personal circumstances may mean that you need to do more than the agreed number of miles on the contract. This is where excess mileage charges kick in when you return the car. These charges vary considerably. They are normally between 4p and 15p per mile but we have seen ones as high as £1 per mile which can lead to a nasty surprise when you return the car. Many customers have signed a finance agreement for a car only to be forgotten about by their dealer. It’s better to deal with a company that has a reputation for great support after the car has been handed over. To this end, online recommendations are clearly a good source of information when considering a car finance company. Online reviews help us to make up our mind about the product, service and how a company performs after the sale. Watch out for business with bad reviews and ones that seem odd or unnaturally written. Many businesses (often in desperation) put in false recommendations in order to balance poor ones that are out there on the internet. Look for established companies, like Hippo Motor Finance which is part of Hippo Motor Group, with solid reviews, and look at if there are negative trends. Often, it’s the aftersales care that makes the difference – what happens when something goes wrong? Don’t be shy of typing in the companies name into a search engine and adding the word ‘scam’ or ‘problems’ at the end of the search term – it’s often amazing what this simple check can reveal. When it comes to checks, you may also want to do the following in order to avoid a costly mistake. See how long the company has been trading here: www.companieshouse.gov.uk. If the company you are dealing with is promoting financial products, you should also type their FCA number into this portal to check on their trading history and if they are legitimate: https://register.fca.org.uk. Their FCA number should appear at the base of their home page. An additional source of quality checking is checking if the business is affiliated with any associations, such as the BVRLA. A serious finance and leasing broker that you can trust will listen to your needs – actively ensuring that all bases are covered in relation to both the finance and the vehicle and then use their considerable resources to match these needs….not the other way round. All too often, customers have no idea of what they have signed, how much they owe and what the exact APR is. It the company you are dealing with does not ensure that they understand your needs and don’t explain exactly what you are agreeing to then run for the hills! The truth is that there are good companies and bad companies out there in the leasing sector. A few that want to “get you” and others that have been in business for a long time, have great reviews, truly care about their customers, have a wide and proven lending panel, access to all new lease deals and hundreds of used and nearly new cars and the ability to prepare cars, listen to your needs and supply professional solutions. Hippo Leasing is definitely in the second camp! Don’t get caught out by car finance companies that don’t have your interest at heart, choose Hippo Motor Finance for a car finance experience that you can trust. Apply for finance today!